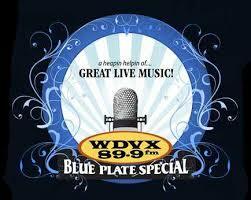 The WDVX Blue Plate Special® is a live performance radio show held at noon at the WDVX studio inside the Knoxville Visitor Center. Red Hickey hosts Monday through Saturday. Across the Ocean with host Wendy Smith is an hour of modern Celtic music influenced by the British Isles. You can expect to hear a mixture of traditional tunes from Ireland, Scotland, Wales, and England. All Over the Road is dedicated to playing good music no matter the genre and giving listeners a good time no matter the circumstances. A musical free-for-all with special weekly guest performers and friends stopping by to join in the fun, hosted by Wayne Bledsoe and Melissa Caldwell. Americana Mix is the backbone of WDVX programming. This satisfying soundtrack has a little bit of everything we’re famous for: Americana, bluegrass, folk, blues, alt-country, roots, classic country, rockabilly, Celtic tunes and more. 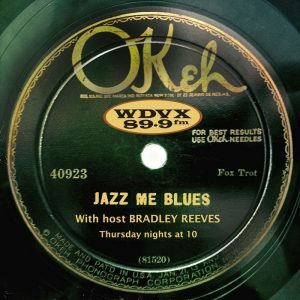 Host Nelson Gullett gives listeners a real treat by sharing classic tracks from from the WDVX library as well the background and historical context for the album and the artist. During the 9:00 hour, Nelson’s Three Songs interview airs, where he speaks with songwriters about their process. The Bluegrass Special, Tuesdays 7-10 p.m. Join host Alex Leach for the best in bluegrass old and new. Clinch River Breakdown has treasures of its own, including recordings of both well-known and obscure musicians from the 1920s all the way to the present. Host Charlie Lutz plays a mix of old-time, bluegrass, honky tonk, folk, blues and more on Sunday afternoons. Cumberland Sunday Morning captures the spirit of the mountains with the tunes you might have heard while sitting on a pew in a old-time country church. Let the spirit move you as WDVX brings you four hours of bluegrass gospel. Show host Bob Fulcher plays music made by folks who lived within shouting distance of the Cumberland Trail, including old-time bluegrass, gospel, rockabilly, ballads, vintage country, western swing, blues, and folk tunes. Some of the rarest recordings from our region, many are never-before issued or broadcast. The first Friday of every month is Knoxville’s gallery hop. WDVX and Visit Knoxville celebrate the art and culture of the city with First Friday Live, a live radio show featuring artists from around the region or nationally touring acts. If you love Marty Robbins, Patsy Cline, George Jones, Kitty Wells and other classic country artists who never grow old, you’re sure to enjoy this WDVX program, hosted by Nita. Hippie Jack Stoddard hosts this hour of live recordings from the Jammin’ at Hippie Jack’s Festival in Overton County, TN. Tune in to hear some of the best singer-songwriters working today. Beat the blues with Johnny Mack, a master of the genre who will guide you through your next blues attack Friday nights and on into the wee hours of Saturday morning. 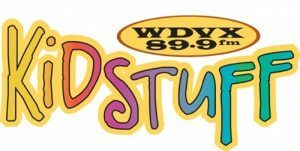 A Show for Kids and the Kid at Heart, Kidstuff is full of high-quality music geared to kids of all ages airing every Saturday morning at 10 a.m. EST. Live at Laurel is part of the block of programming produced through a partnership with WUOT and the Jubilee Community Arts. Hosted by Brent Cantrell, this show is a chance to hear great performances of authentic mountain music by performers of all ages, from all walks of life. Old meets nouveau with a pinch of history, a dash of Creole and a spot of old Country Swing that mixes just right to serve up the cajun flavors of New Orleans you love. This program features concert highlights and additional releases from artists who perform at the Laurel Theater, a historic, decommissioned church owned and operated by Jubilee Community Arts and located in Knoxville’s Fort Sanders neighborhood. 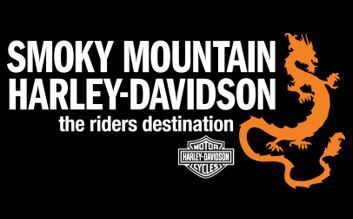 It’s like an extra helping of all your favorite mountain sounds. Sometimes morning comes way too early. Clear the cobwebs and start your day on the right foot with Rise & Shine on WDVX. Saturdays, 7 – 10 p.m. Paul Amero will get your motor runnin’ with the best in rockabilly & all its cousins! “The WDVX 6 O’Clock Swerve” is weekly musical trip featuring live performances and insightful interviews in a living room atmosphere. The show’s conversational, relaxed and informed interviews and performances is unlike other live-music shows. Scott Carpenter hosts Swing Set, which offers the best in western swing and hillbilly jazz from the ’30s to today. Tennessee Country Classics is a chance to hear host Joe Bussard, one of the world’s leading collectors of blues and early bluegrass, choose rare and seldom heard selections from his vast collection of 45 rpm records for your listening enjoyment. The Tennessee Farm Table on Saturday mornings with host Amy Campbell tells the stories of the people who produce, preserve and present our region’s food. TENNESSEE SHINES is a live, weekly radio show that broadcasts Wednesday nights at 7 p.m. from Boyd’s Jig and Reel in Knoxville’s Old City. Show host Paige Travis celebrates East Tennessee’s musical and broadcasting heritage by featuring top-notch musicians from near and far, interviews, spoken-word artists, and other surprises. 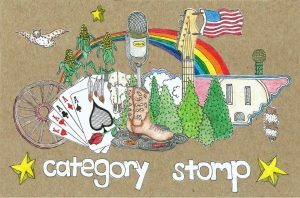 If you love all kinds of American music from traditional and modern Americana mixed in with classic country and bluegrass, all the way up to present-day roots, you won’t want to miss the Category Stomp with host Katie Cauthen. The Vinyl Frontier explores long-forgotten recorded sounds. This showcase of audio treasures collected over the years by host Jim Childs even includes treasures from the vaults of the Tennessee Archive of Moving Image and Sound. Stay current on the latest and greatest in Americana Music with This Week in Americana, hosted by Nelson Gullett. 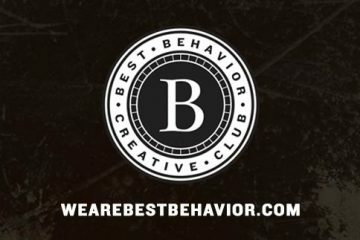 The show airs Wednesday nights from 6 until 7 p.m. EST. This program, hosted by Brent Cantrell, celebrates ballads, blues, and old-time music with a focus on pre-war and field recordings.